The gospel is of divine origin. It is of God, God is the author, or originator of the gospel. It belongs to God. –God promised this gospel through the prophets in the Holy Scriptures. (The prophets, the writings in the Old Testament were pointing toward this gospel). Jesus had said that the law and the prophets testified about him. They bore witness to the coming of the Messiah. John 5:39 the Scriptures testify about me. –About God’s Son, a descendant of David humanly speaking. -The Son of God announced by the angel to Mary. He will be known as the Son of the Most high. -The resurrection proved that he is indeed who he claimed to be. Jesus the Christ and Lord. Paul said that it was because of what Jesus did that he received the call to be an apostle, one who would call people to respond in faith to the good news of Jesus. –Paul felt obligated to preach the good news of Jesus to all people. Greeks (civilized world) and no-Greeks (Barbarians ESV, NASB, KJV), wise and foolish. He wanted an opportunity to preach in Rome. (v14) He prayed for an open door to be able to go to Rome in his preaching the gospel. The gospel is the power of God at work for the salvation of anyone who believes. First the Jews (the preaching of this good news started with the Jewish people; the first church was Jewish, then the gospel reached also the non-Jews or gentiles). The gospel is good news of salvation for anyone who believes. The good news of Jesus, the Savior. The gospel reveals God’s righteousness. How to be right with God. This righteousness cannot be earned. Only received by faith. From the beginning to the end, this righteousness is by faith. God’s plan is revealed in the Gospel, it tells people how they can be right with Almighty God. By believing in the Son, whose life was sacrificed to save those who believe in him. God did his part, now people just have to respond by placing their faith, trust in what Jesus accomplished on the cross. Jesus is God’s righteousness revealed. Read Rom.3:21-24 Jesus is truly God’s righteousness revealed to the world. 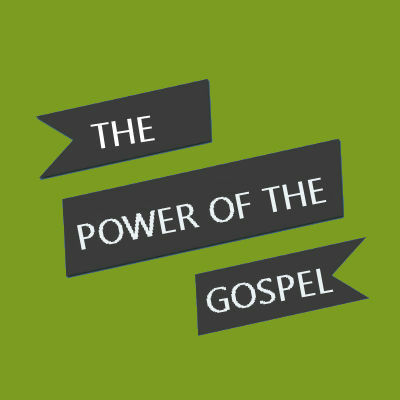 The message of the gospel contains power; it can save people who receive it because the gospel is all about Jesus. No wonder Paul was so eager to tell others about this great news. The gospel is preached, people must receive it and take a stand on it. You must stand firm on the message of the gospel otherwise you believe in vain. (v2) By this gospel you are saved, if you hold firmly to the word I preached to you. Otherwise, you have believed in vain. Once people receive the gospel, they must take a stand on it, holding firmly to the message. Burial and resurrection on the third day, according to the Scriptures. His post resurrection appearances to his followers. The gospel is the good news of Jesus Christ, his death, burial and resurrection. This good news contains the power to save anyone who believes in it. We must tell people that they can be right with God is only through Jesus Christ, the righteousness of God revealed. If you already embraced and believed the gospel of Jesus. You must continue to take a stand on it. You and I must hang on to this good news that saves us. How are you taking a stand on the gospel today? We, like Paul, should never be ashamed of this news because of his power to transform people. 2000 years have passed and people continue to be transformed by the power of the gospel. God is at work through the message you and I can bring to someone. Take a stand to share it with others, for you have been commissioned to tell others about Jesus.